"Unlike man they live not for themselves, but for others, God’s creatures whom He loves." Baba had His own ways of relieving people from such fell epidemics as plague and Cholera. When the writer first went to Shirdi in December 1911 Baba had on His body seven plague bubos. Devotees asked Baba as to what remedies they should adopt to relieve Him from these bubos’ pains. Baba said, "Nothing needs be done, Seven bubos on My body bespeak deaths only seven people; that no more plague" fatalities would occur in Shirdi thenceforth; the devotees however pressed Baba to name the medicine the application of which would relieve Him from bubo pain; so He prescribed for Himself the application of burnt cotton soaked in oil and the devotees went on applying this during my stay of ten days in Shirdi, So soon however as seven fatal plague gases had occurred, the plague, it was reported, left Shirdi, and bubos also disappeared from over Baba’s body. Another time, when Cholera broke out in Shirdi and several people fell victims to it, one morning Baba took out large quantity of wheat from the gunny bag He had at the Dwarkamai and turning the hand-mill Himself, ground them and had that wheat flour spread out on the banks of the stream, two, three furlongs away from Shirdi. When some devotees asked Baba what all that was for, He emphatically stated it was to stop Cholera and as stated by Him, Shirdi people were freed from the ravages of Cholera Since that day. Several educated devotees of Baba attempted to find out from scientists without success the connection, the spread of Wheat Flour had with Cholera epidemic. Similarly, when a millionaire devotee suffered from constant motions and vomiting for a fortnight Baba called him to His presence and by a simple wave of His 4th finger, cured him of stools and vomiting. So soon as Baba by His finger ordered Bapu Saheb not to go to privy nor to vomit, the motions and vomiting stopped and Bapu Saheb felt alright. On being asked by his doctor what diet should Bapu Saheb be given, Baba said give him almond Rabadi which is usually considered to be too heavy to digest for a man of Bapu Saheb’s weakened health. Bapu Saheb did not stop to weigh this common belief but with faith implicit in Baba took the prescribed Rabadi. The result was marvellous; Bapu Saheb at once regained his lost energy and health. Another cure by Baba was even more wonderful than the preceding one. One Patil Bhimaji of Narayan village, Taluka Junner, Dist. Pune had tuberculosis of a most advanced stage. Every five minutes he vomited blood. All medicines had failed and his life was despaired of. He was very intimate with Nana Saheb, who advised him to go to Shirdi, and have Baba’s grace for his cure. So he came to Shirdi and supported by two three men, he got down from the cart and was seated in front of Baba. Bhimaji laid his head on Baba’s feet and prayed, "Save this helpless soul". Baba was moved by these words and patil’s pain subsided at once, and yet on finding that the Patil thereafter felt a bit uneasy, Go you will have a complete cure within a day or two. Put up at Bhimabai’s place now vacant." Blood vomiting, he had every five minutes, stopped in Baba’s presence and he felt as if he was slowly regaining his lost energy; so he slowly walked upto the place where Baba had asked him to put up. The ground there appeared to be quite wet as it had very recent rubble filling and cow dung plastering. To-night he had two fearful dreams in the first of which his primary school teacher went on caning him and making him repeat some poetry lines and in the other, a fierce looking man went on rolling a heavy stone roller on his chest with such force that he felt as if he was passing through the last moments of his life. But thereafter he got sound sleep and when he awoke in the morning he found himself completely cured much refreshed; he had now no coughing, no vomiting. He was agreeably surprised to see that the fell disease had, for ever left him. He therefore all alone went to Baba, prostrated himself before Him and expressed his gratefulness to Him with tears in his eyes. Baba blessed him. All without exception admitted that Baba had cured the Patil of T.B. in advanced stage within a day and that too without medicine simply by the exercise of His divine supernatural powers. Patil then left for home. Another time when Madhavrao was stung by a poisonous serpent in the evening. He stopped the spread of poison of the serpent’s fang simply by his command to the serpent and keeping Madhavrao awake the whole night chewing nimbleaves. Next morning Madhavrao was all right; the finger stung by the serpent had only a burning sensation for a few days. Of what moment is a scorpion sting to one who can stop the poison spread of a poisonous snake simply by the word of His mouth? Bapu Saheb Jog had that experience; when he had one evening a scorpion sting and he complained to Baba about it and Baba simply said, "Go, go, the pain will soon vanish." A mere prostration before Baba and the procuring of His blessings cured Chhotubhai Paralkar of 8 years old Dispepsia, and Mrs. R.A. Tarkhad of six years’ old bad head-ache. An agent’s prayer in the event of the patients’ disability to attend in person was also found to serve the purpose. This was seen in the case of Madhavrao’s brother’s wife, who had a plague fever with two bubos and so soon as Madhvrao informed Baba of this, praying for her recovery she recovered within twelve hours. A mere decision to come to Shirdi and starting for it cured one Mrs. Rangari of her inability to eat, drink etc. on account of her throat swelling. Bombay Law College Principal Shri Dhurandhar was cured of seven year’s old Asthma by one puff of Baba’s Chillam offered to him by Baba Himself. Though Baba has cast off His mortal coil, even now His devotees are having such experiences One doctor kathe’s two years old son Vijay was unable to take even milk and emitted particles of stone through bladder. On their coming to Shirdi Vijay’s mother asked Vijay to take some of Shri’s food and to their wonder Vijay took that food with his own hand was able to digest it, and emission of bladder stones also stopped for ever. An educated wife of an educated husband had been ailing from a disease which doctors, physicians and Hakims were unable to diagnose and cure. The lady would swoon, close her teeth tight and remain unconscious for hours together. At last the doctor’s father asked him to take his wife to Shirdi; "Just take a trial," he said. To satisfy the father both of them went to Shirdi but the wife would not go to Baba Samadhi temple; so with the help of a friend she was dragged to the Samadhi and made to prostrate herself before Samadhi. Baba’s sacred ash and Samadhi water were thrust into her mouth. On the second day’s evening after bowing before Samadhi she fell on the ground and the spirit within started speaking, "I had pounced upon the lady and possessed her while she was returning from her parental house and standing under a tree. I am a female Bhil ghost; the holy water and the holy ash sprinkled over me have vanquished me, so I am leaving this body for ever and going away." This ended the lady’s sickness; and she returned home safe and sound. Nine years after Baba’s Maha Samadhi i.e. in the year 1927 a devotee’s wife was miraculously saved by Baba from the jaws of death. The husband and wife were returning home after celebrating Ramnavmi at Shirdi. The wife got down at Thana Rly. Station to fetch water and just when with a waterfull vessel she was boarding the train, the train started, and the woman fell down under the train. The husband and other passengers combined, shouted to the guard to stop the train; but the train having already started stopped only after it had gone some distance, the husband and the passengers had feared the woman must have been crushed under the wheels but when they ran up to the spot of the accident, to their utter amazement they saw the woman standing there unscathed, uninjured. In reply to the inquiry of all, the woman said, as soon as I fell, I remembered Baba; He at once appeared stood in front of me pressed me hard against the platform; what sort of body Baba had assumed to save this woman, one can hardly know, for usually there is no room enough to stand for two person between the train wheels and the platform; and yet what is impossible to a Superman like Baba? So also Baba saved His devotee Nagesh Atmaram Sawant, a Police Sub-Inspector, from death in the year 1929 during the Bombay Hindu Muslim riots. While on duty Sawant had fever and bad head-ache; an European officer in his round seeing that Sawant was really ill, relieved him saying he would inform the Superintendent of this. Unluckily an hour after Sawant was relieved, the riot reached its highest pitch and the officer was killed in it. Had not Baba not inspired the European officer to relieve Sawant from duty probably death would have taken his toll and not the officer’s. 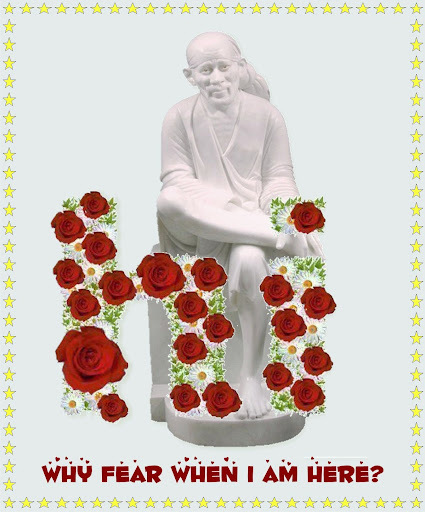 One Sakarlal Keshavram Bhatt, a shop keeper of Bombay, who had been lame by one leg, tried all means to cure his lameness without success; hearing of Baba’s wonderful powers, he came to Shirdi in 1911, prostrated himself before Baba and obtained His blessings. As a result thereof on his return journey as he walked a few steps in the sand to go up ferry (ship) the clogged up leg nerve loosened itself and to his surprise he was able to walk erect. His lameness had gone for ever. He was so pleased with this that he broadcast this news of Baba’s superhuman powers amongst all his customers and persons connected with him. Another cure of lameness was of a school mistress widow’s only son in the year 1956. The boy appeared for the S.S.C. Examination but when he returned from the Examination on the last day he was found to have a bad attack of fever. Proper medicine cured him of the fever, but he was not cured of the lameness of legs brought on by the fever; the boy had always to be lifted up for being taken to any place. 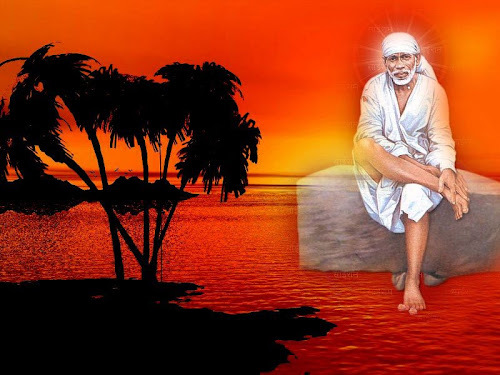 All possible remedies were tried but when they proved ineffective, hearing of Shirdi Sai Baba’s powers, the school mistress took the son to Shirdi. On account of his lameness the boy felt so shy that rather than going to Baba’s Samadhi on the shoulder of a coolie, he preferred staying at the Shirdi Vada. The mother alone therefore had to go to Shri’s Samadhi to pray for her son’s cure for two days. She was to leave Shirdi on the third day; so she went to Samadhi Mandir to attend Arti and offered her last obesance before leaving. In the meanwhile Baba appeared before the boy and said, "Have courage." He then lent him his hand, led him to the temple pillar. On return from the Arti when the mother did not find the son in the room. She again approached the Samadhi and with tears in her eyes most piteously prayed for the recovery of the boy. When she was just returning from the temple her eyes fell on the boy standing against the pillar. She inquired of the boy how he had managed to come there; the boy how he had managed to come there; the boy narrated how Baba had helped him to come, but the mother would not believe it, However when she saw that with her support the boy was able to walk up to their room she was mightily pleased. The boy fully recovered within a month thereafter and was able to move and walk freely. Non a few cases of the wonderful cure of blindness by Baba’s supernatural power may be cited. The grandfather of Shri Baba’s devotee Vithalrao Yashwant Deshpande pressed his son devotee to send him to Baba for His blessings; so Vithalrao arranged to send him to Shirdi with his son. Led by the grand-son the grandfather went to the Dwarkamayi, prostrated himself before Baba and sorrowfully said to Baba, "I am unable to see". Baba said, "You will be able to see". So soon as Baba uttered these words the grandfather had his eye-sight restored to him. He was able to see everything. Blindness left him entirely. Never was anybody’s prayer for relief granted so soon. All wondered at it. Another blind devotee went to Baba and prayed to Baba, ‘I have lost my eyesight keeps me away from many undesirable things; all the same I am eager to see the human form in which you, my lord, have eyesight till I satiate my eyes by beholding your human form; and you may withdraw this grant of eyesight so soon as that is done." Baba at once granted this request; he saw Baba with his own eyes and then he lost vision and became blind. A stark blind man was found singing in the tune of his cymbals before Baba, the one sacred formula "Ramkrishna Hari" (names of incarnations Ram Krishna, Vishnu), in the 1913-15. The writer found the same man in Shirdi in 1942-43 reciting Chapters of Shri Bhagvad Gita of Lord Krishna and poems, verses from the well-known Maharashtra Saint Dnyaneshwar’s Amratanubhava. I asked him "When did you get your eyes?" He said, "Through Baba’s grace he had blurred vision during Baba’s time and thereafter a clear vision. Through His grace he is now able to read. Write and move about freely." To assure the writer of this he read out to the writer several verses from the said Amratanubhava that he had with him. Even after Baba left His body, he has been wielding His Powers for the benefit of His devotees. Thus He gifted speech to the speechless daughter of His devotee R.S. Maniar of Kumbakonam, Madras The said daughter Rajkumari was dumb down from her birth; all possible means were tried to cure her of her dumbness, but when all of them proved fruitless Mr. Maniar took to Baba’s worship. Some days after, Baba asked him to bring her speechless daughter to Shirdi for paying her respect to His Samadhi. Maniar brought the daughter to Shirdi and made the daughter place for flowers etc. on Baba’s Samadhi and pay her respects to Him. As soon as she did this she started speaking "Sai Baba" "Sai Baba" and then she started speaking freely. Parents were naturally very much pleased to see the instantaneous cure of their daughter. A Bombay (Andheri) devotee had a similar experience. His little daughter run over by a motor car, was saved; but was injured and took a fortnight to recover in the hospital. Though the hospital treatment restored her health, the speech she had lost was not re-gained; she became dumb and though several remedies, medicines etc. were tried all of them proved ineffective. At the last, the holy ash of Baba’s sacred hands was tried and she started speaking as soon as she took its first dose. All were startled at the powers the holy ash of Baba’s hands. "Aged parents, Chaste wife, infant son must be maintained at any cost"….Manu. It seems Baba did not like that any of His able-bodied devotees should remain idle and be a burden on society or his kith and kin. He always preached, "A man should always be doing something." He Himself never sat idle but was always busy doing something. In the noon when no work was at hand He would just take a needle and repair His torn out Dhoti or His robe etc. and if at such a time somebody would turn up and question Baba, "Why should you take this trouble when we all are ready and willing to do this for you?" He would at once reply, "One has to be always busy doing something and so far as possible he should avoid troubling others for his own piece of work." How a man seeking to escape the discharge of his worldly duties by running away for good from it on the excuse of going on a pilgrimage, was persuaded by Baba to return home and to shoulder his responsibilities like a man, is best seen in the life of one Janardan Moreshwer Fanse alias Haribhau Fanse. Wearied with carrying on the burden of his worldly cares, informing his mother Haribhau left his home for Rameshwar; however as Shirdi was on the way to Rameshwar, with a view to have the blessings of the far famed Shri Baba he came to Shirdi and felt so much attracted by Baba,. That he stayed at Shirdi for a week. When thereafter he asked Baba’s permission to go to Rameshwar. He ordered him to go home, saying his mother had abstained from food since the day he had left home and if he failed to return home she might die. The mother was very much pleased t see her son back at home and was convinced that Baba was omniscient. In the meanwhile a person of his village being attacked with Cholera approached him; he administered to him Shri Baba’s holy ashes and he was cured. This led the people to believe that he was a physician. The holy ashes were however soon exhausted and so Haribhau was embarrassed as to how he should deal with another Cholera case, if he got one. But luckily for him Cholera left his village since that day. Thereafter he happened to go to a nearby village and casually met some Marwadi merchant known to him. The merchant seeing that a simple devotee had come to meet him, told Haribhau," Look here, my brother is seriously ill, all physicians, doctors have tried their utmost to cure him but they have all failed; now since you are Shri Sai Baba’s devotee, if your Sai Baba is really a saint, He must cure my brother through you." Haribhau saw the patient found the case to be serious, was therefore anxious to slip away but as it was night, he could not leave for home. At night when Haribhau’s Bhajan (prayer) time became due, the patient himself made the necessary preparations for Bhajan and throughout the Bhajan sat concentration on Baba’s Photo. This surprised all and the Marwadi now said," Whether the patient dies or survives I will have his medicine form none but you." To shirk the responsibility Haribhau purposely quoted his fees in excess of those of the Civil Surgeon, at Rs.200/-. The Marwadi agreed to that. That night Baba appeared in Haribhau’s dream and told him what the disease was and the medicine to be prescribed for it. Haribhau prescribed the said medicine and the patient started taking this medicine; the patient full recovered after a time and so the Marwadi offered Rs.200/- the stipulated fees to Haribhau, but Haribhau would not accept it stating he had done nothing, it was his Guru’s work. Marwadi could not rest satisfied till he requited Haribhau’s labour in some form or other so he bought a scarf worth Rs.200/- and going to Haribhau’s house when he was out, left it there. Haribhau could not now refuse the acceptance but he felt that the price-amount of the scarf should be sent to Baba. However as he was penniless and Baba had also left off His body in the meanwhile, while offering his usual night prayers, tears rolled down his eyes. That very night Baba appeared to him in his dream and said, "There is famine all round at present, so sell off the scarf and purchase rice from this amount of Rs.200/-, sell it at under price for the present; carry on this rice business till this amount of Rs.200/- runs out. Then sell rice at profit and you will be able to make a living." Following these instructions Haribhau prospered, became happy and then never thought of deserting home. Baba did not and does not even today want that His devotees should starve; of course He discouraged greed but He wanted that His devotees should have a proper living and so He helped most of them up to a job or provided them with facilities for business. To mention a few of the thousands of such instances of every day occurrence. In the year 1915 one Shri R.A. Tarkhad had to be without service for a pretty long time after he gave up the Mill Manager’s post he had held; so he came and stayed at Shirdi with his wife. When he had stayed for very many days he asked Baba’s permission to return home. Baba permitted them to return but asked them to go to their Bombay home via Poona and not via Manmad; as this route was a little longer they had to spend a little more. As Mr. Tarkhad was without a job for many many days his wife felt it inconvenient but Mr. Tarkhad knew the significance of Baba’s instructions, so overruling the objection of Mrs. they took the Poona route and put up at their friend’s for night. Learning from Mr. Tarkhad that he was in search of a proper job for himself his friend informed him that a mill owner there was in bad need of a Manager able to control labour; immediately Mr. Tarkhad saw the mill owner and the Mill owner was so much impressed with the conversation he had with Mr. Tarkhad that there and then he appointee Mr. Tarkhad as his Mill Manager Mr. And Mrs. Tarkhad were naturally very much pleased with this, and this had brought home to her the importance of Baba’s instruction to them about taking Poona route. Another time one Ghanpatrao Narke, who after graduation had spent three years at Manchester for specialization in Geology and Mining went to Shirdi to see his father-in-law Shriman Booty. Being of a spiritually inquisitive turn of mind he saw and pain his respects to Baba and soon became so much attached to Him, that in all important matters he would not do anything without Baba’s permission. For some years he could get only job work for a few months and that too in different provinces. Being tired of this camp life when he heard of a vacancy of a Professor’s post at Benares College carrying a salary of Rs.300/- per mensem, he sought Baba’s permission to accept it; but Baba asked him to desist from such an attempt and continue the job work he had been doing. Till then there was no chair for geology and Mining at Poona College, but in 1917 an advertisement appeared calling for applications for such a post in the Poona Engineering College. With Baba’s consent Mr. Narke applied for it and was appointed a professor Geology and Mining on a salary of Rs. 600/- P.M Why Baba had prevented Narke from taking up Benares University professorship for Rs. 300/- P.M. only was now understood and appreciated by Narke and consequently his faith in Baba grew stronger. But it was not always that Baba took care to guard the interests of persons with high academic qualifications; he took equal interest and care of even non-qualified persons provided he had the necessary devotion and faith in Him. One Cholkar vowed that if he would be able to pass his P.Sc. 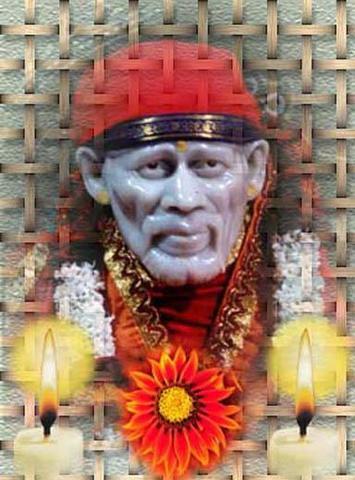 Examination and get a teacher’s post and he would go and pay his respects to Sai Baba; He prepared for his examination, took it and passed out and obtained a teacher’s post as well through Shri Baba’s grace, but as his salary was meager, he was not able to spare money enough for going to Shirdi. 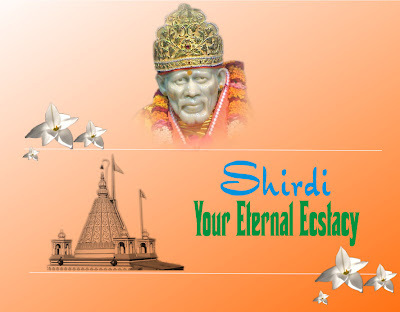 He therefore took another vow that he would not take sugar until he was able to go to Shirdi. At last he was able to spare the necessary money so he left for Shirdi and one morning he saw Baba and paid his respects to Him. Just at that time Bapu Saheb Jog turned up. Baba said to Mr. Jog, "Take this man to your place and give him a sugarful cup of tea, Bapu Saheb accordingly took Cholkar with him and learnt from him that Baba had added "Sugarful" to a cup of tea, to show to Cholkar that He was fully aware of his vow of abstaining from sugar till he had seen Baba. This pleased Cholkar and he felt that he had met one who was ready to be his guide, philosopher and friend if he stuck to Him, with faith. In another case, a young man named Bapurao Boravke who went to Shirdi on foot with only three annas in his pocket earned lakhs of Rupees through Shri’s grace. Boravke had lost his parents when he was almost an infant; and taking advantage of his age, his relatives squandered away his ancestral property with the result that Bapurao was forced to look up for a job so soon as he had gone upto the entrance (SSc) class. The only relative he had was his maternal uncle, a devotee of Sai Baba at Shirdi; so he went upto Kopergaon by railway but the funds that he had, had run out and with only three annas balance in his pocket he could not get a seat on the tanga, so he went to Shirdi on foot and paid his respects to Baba. He was well received by his maternal uncle, so he stayed with him looking after his sugar crop improved so much that the neighbouring field owner took Boravke into partnership. Boravke now looked after both the fields. Next few years they got bumper sugar candy crops, the prices also went up considerable, and so within two years Bapurao made a lac of Rupees; he realised that, all that was due to Shri Baba’s grace and so purchasing a piece of land at Shirdi he now grew Oranges, Mosambi in it, Build a bunglow for himself and settled down there to be able to pay his respects to Baba everyday. Even today we are reminded of Shri’s powerful grace when we see this bunglow with his fruit garden on the way to Rahata a Few Furlongs from Shirdi. One Christian Police inspector Joseph of 46, Turner Road, Bandra, Having failed to get any clue about culprits in a criminal case prayed to Baba to help him; Baba was pleased to appear in his dream and to give him the necessary instructions for investigation. Following Shri’s instructions Joseph was able to find out the proper culprit. 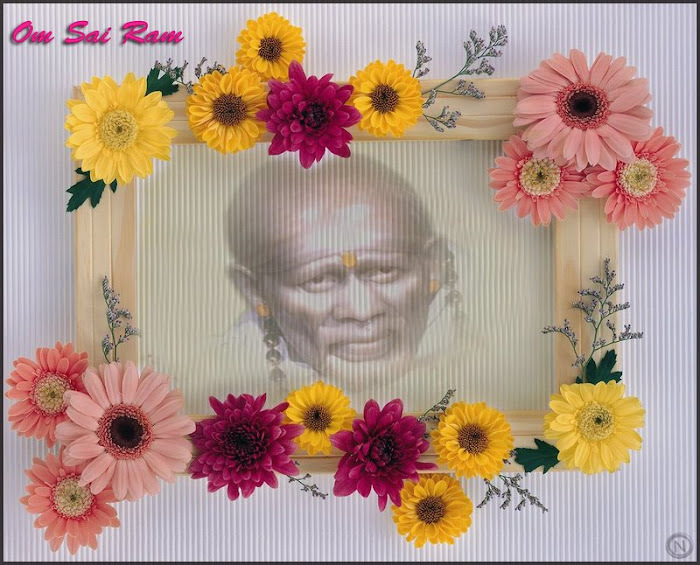 Again Baba helped the late Mr. Tendulkar Raghunathrao in obtaining a fairly good pension Both Mrs. Savitribai Tendulkar and Mr. R. Tendulkar were ardent devotees of Baba; both of them jointly and severally composed songs on Baba’s glory. Raghunathrao had grown grey in Bombay Graham & Co’s service and had then attacks of epilepsy fits and dimmed vision. He put in an application for pension and in the usual course of events his pension would have been fixed at Rs. 75/- the one half of his salary. So Savitribai felt a bit embarrassed as to how she could cope with the expenses of her large family in Rs. 75/-. To set her at rest the all knowing Baba appeared in Savitribai’s dream and said, "I have a mind to fix up your pension at Rs. 100/-. Will that satisfy you?" Savitribai said, "We have full faith, that you will do the needful for us." A fortnight after the dream, the Company considered Tendulkar’s application and going beyond the usual rule, fixed his pension at Rs. 110/-. This was enough to satisfy the husband and wife who thereafter spent the rest of their lives in singing songs of God’s glory. Not only did Baba provide money to his devotees but he also saw to it that they did not by their thoughtless ventures run into losses. An old devotee of Baba Shri Damuanna Kasar at the instance of his Bombay friend, thought of going in for a purchase of cotton bales; he therefore sought Baba’s advice on the point, through another Shirdi devotee. Baba replied, "Sheth seems to have lost his sense. He should rest contented with what little he has got; he should not run after lakhs’ Seeing that the cotton prices were going up everyday, Sheth said to himself, the devotee who has obtained Baba’s advice for me in this matter does not seem to have properly put before Baba all the facts, so he ran down to Shirdi, paid his respects to Baba and started massaging his legs. While doing so, it occurred to him that if he reserved a certain portion of the profits for Baba in that transaction Baba would permit him to enter into the proposed contract. Without being asked, Baba at once said, "I would never be a party to any body’s business." Hearing this Sheth looked down and entirely gave up the idea of the purchase. His Bombay friend again wrote to him that in following the advice of a Fakir, Sheth was committing a gross error of judgment; but the Bombay friend was soon disillusioned, when the cotton prices went down and down and he suffered a heavy loss in that transaction; Damuanna now realised how he was saved by following Baba’s advice in preference to his friend’s and thanked Him from the bottom of his heart. Thefts and robbery are well known sources of loss of people; Baba saved several of His devotees from such inroads on their purse. A cook who had put in thirty-five years of service under a Baba’s devotee bored a hole in his master’s wall treasury and removed Rs. 30,000/- currency notes, which was all, the master had saved in his life. Inquiries and investigations were all made but they bore no fruit. 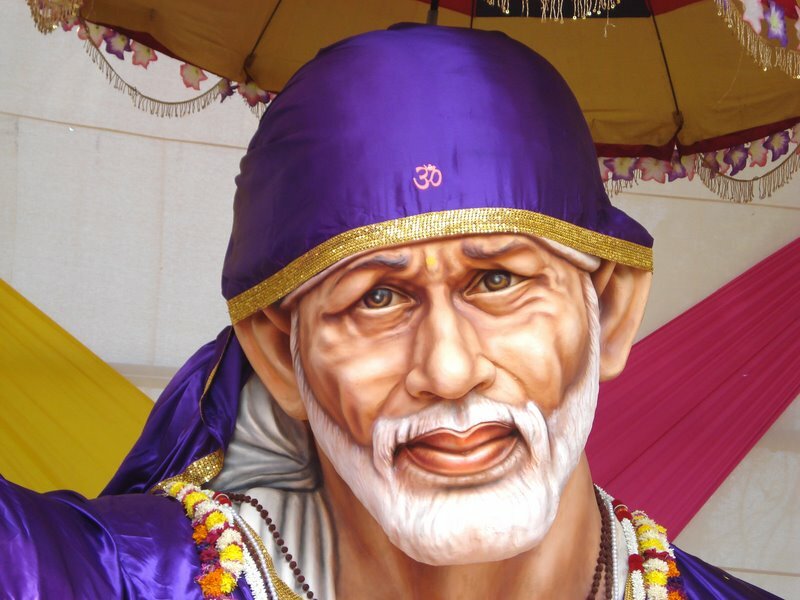 Once the master was sitting outside his house on his Otta ruminating over his loss, when a fakir passed by him; beckoning him he narrated the loss he had sustained by theft; the Fakir thereupon advised him to swear that he would go to Shirdi of Kopergaon Taluka in Ahmednagar District and there pay his respects to the great Saint Sai Baba and that he should give up one of the foods he liked most till he was able to fulfil his vow of going to Shirdi. The master took the vow and gave up a food of his liking. Even before a fortnight had elapsed, the cook thief thought better of the matter, so with all the currency notes of Rs. 30,00/- he approached his master, returned the currency notes and remorsefully requested the master to pardon him. The master was naturally overjoyed at the turn the cook’s mind had taken and then fulfilled his vow by going to Shirdi and paying his thankful respects to Shri Sai Baba. One Ganpat Dhond Kadam was saved from a gang of Bhil robbers in the year 914. Mr. Kadam was proceeding to Shirdi with his family. After he had left Nasik a gang of Bhils boarded the Running train and entered into the compartment where Kadam was sitting with his wife and children. Kadam was reading a book of holy songs. Thinking the Bhils were interested in listening to the Songs he started reading them louder. The gang waited there for about five minutes and then left the running train one by one in the same way as they had entered into it. The wonderful part of this story was that Mr. Kadam saw a Fakir sitting in front of him, as the gang boarded the running train and then as soon as they left the train the Fakir disappeared, no one knew where. When Kadam reached Shirdi and paid his respects to Baba, He asked him, "Well, have you come safe, well guarded?" Kadam at once understood that Baba had appeared before him in the compartment on the entrance of the gang into the compartment and it was only as a result thereof that the gang of Bhils got frightened and left the train leaving him safe and unscathed. Another Vakil Devotee Vaman Chintaman Muke of the village Basant of Taluka Nifad, Staying in his field-house escaped the loss of all his property, though a party of four trespassed upon his house after mid-night and boring a hole in the northern wall, one of them had entered into it. A small trunk under the cot, where the vakil slept, was removed by the inside thief and passed over to one of his companions outside. That small trunk had some promissory notes and Rupees Two Hundred in currency notes. When after that the said thief tried to remove a big trunk containing ornaments, silver vessels, documents worth about Rs. 10.000/- the vakil’s sister-in-law suddenly awoke and seeing the intruder called out, "Thief! Thief!". The Vakil was fast asleep, he could not hear his sister-in law’s shouts; but Baba appearing in his dream said to him, "You are robbed of your trunk, awake, awake." At once the Vakil awake, and ran frightened with a cudgel shouting "thief! Thief!". The thief in the house made his way through the hole they had bored and all of them escaped. The only loss the vakil thought he had sustained, was that of a small bag but even this bag which the thieves had thrown away through fright in the neighboring field was brought in tact to the Vakil by a farmer of that field. So ultimately it was found that the Vakil had lost nothing at all through Shri’s grace. So Also when a thief broke into the rail quarters of a Railway Telegraph master Ratanlal of Vani (Nadiad-Gujarat) and was fumbling for valuables hare and there a child cried and the thief’s leg dashed itself against a bucket so Ratanlal awoke and with a strike in his hand ran after the scampering thief; on return home the Rly. Master found that through Shri’s grace he had lost nothing. Sakhrevadi Sugar Mill Doctor M.R. Tagare had a similar experience in 914. He was Proceeding to Kopergaon post office with a bag in a bullock cart, to encash his war Bonds of Rs. 2500/-. While he was busy talking with a fellow passenger, the containing the bonds slipped down the cart unnoticed by the Doctor. As soon as he noticed that the bag had dropped down on the way, leaving the cart he ran helter skelter a mile or two in search of it without success. Uneasiness on account of this loss allowed him no sleep till about mid-night, when he thought of sitting near Sai Baba’s Photo, he has in his house and praying to him. While he was so praying he seemed to hear someone telling him, ‘cease worrying.’ This brought him peace of mind and he could then sleep. Next morning he had to attend upon an ill friend at a nearby village; so he went there, examined his friend, gave him medicine and casually talked to him about the loss of his bag containing the said war bonds. A girl who was standing by listening sympathetically to the Doctor’s talk, at once ran out and returned with a bag saying that it was found lying on the road the previous day. Looking up the bag, the Doctor found that though the parpers had all been disturbed and turned up and down, the finder finding nothing valuable in his eyes, had removed nothing from the bag, that the war bonds were in tact. The Doctor was over pleased and heartily thanked Baba for His favour and grace. Again a cashier of a well-known Bombay firm had made away with a large sum and come to Shirdi to save himself from arrest etc. A warrant was obtained and the work of executing the warrant was entrusted to the firm manager, a Baba’s devotee. The manager tried his utmost to trace the culprit cashier but he could not find him. He was at a loss to understand whether he should continue the search or return to Bombay; so he came to Baba to have his decision in the matter. To his surprise, he found there the cashier seated shampooing Baba’s feet. On seeing the manager, the cashier got nervous, prostrated himself before Baba and earnestly prayed to Him for saving him. Baba advised him to accompany the manager to Bombay, to confess his crime to his master and to request him to pardon him. The cashier carried out Baba’s instructions in toto and was waved from criminal prosecution and the manager also received his master’s thanks for dexterously handling this affair. 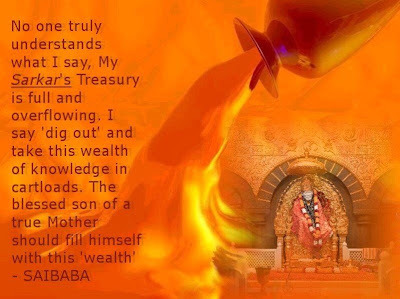 Through Baba’s grace His devotees were able to secure necessary loans for their personal use for business, for getting a so educated and trained I foreign countries. So also through his grace loans were returned unasked to Shri’s devotees to enable them to go to Shirdi. Bapusaheb Jog had a loan of Rs. 1,400/-, advanced to his wife’s relative returned to him after a lapse of 14 years. We quote here only two such instances out of the innumerable that are extant. A farmer was very anxious to obtain from Govt. a loan of Rs. 500/- for a well on his farm and he applied twice to the Government but both his applications were refused. The farmer approached Baba in the matter and he spoke to Nanasaheb the then collector’s chitnis about it. Nana said he would certainly present his application as required by Baba, though he had no hope of the application being granted. The farmer therefore applied to the Collector again and Nanasaheb presented the application to the collector informing him at the same time that two similar applications of his were rejected previously. The Collector thereupon asked the farmer, "Why do you press the Govt. for a loan?" The farmer himself clearly put his case before the Collector. He said, "Sir, I owe s. 500/- to Government. I am anxious to repay the loan. I cannot do this until I have a well to water my land and to get better crops. I have started digging the well but the work had to be stopped owing to the intervening beg rocks; unless they are fired by Dynamite and removed, the well work cannot be completed and I can’t have water. Without water, I can’t have crops enough to return the Government loan and so I press this application. The Collector at once granted the application and the farmer obtained the loan be badly required through Baba’s grace. In another case Baba enabled a disciple of Gadge Maharaj to pay to his Master (Guru) a sum of Rs. 100/- he had promised him. The disciple Shri Ramchandra Maharaj was required by his master to defray a day’s expenses of the Yagna a sacrifice the Guru was performing; so Ramchandra went to Belapur and Round-about places performing Kirtans (recitations of God’s glory accompanied by music etc.) and obtaining promises of the sum required. More than the sum required had been promised, so he thought he had nothing to worry about; when therefore a very few days were left for sending the promised amount to the Guru, Gadge Maharaj, he once again repaired to Belapur, for it was from that place that he had received promises for the largest portion of the required amount; but as usually happens the Belapur people evaded payment of the promised sums. This set Ramchandra thinking; he could not understand how to make up the amount required; he therefore offered up an earnest prayer to Baba to help him keep his to grant the just prayer to Baba to help him keep his promise to Gadge Maharaj and Baba ever ready to grant the just prayers of his devotees, inspired one man to pay the whole of the promised sum of Rs. 100/- to Ramchandra during the Kirtan the next morning. 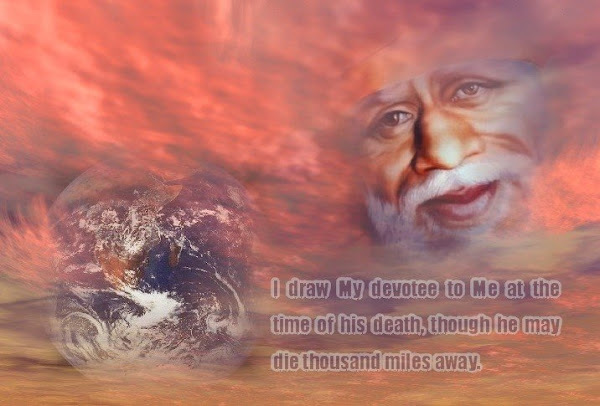 Need it be said that this strengthened Shri Ramchandra’s attachment to the ever kind Sai Baba? Of the men he loves. Numerous experiences as illustrations of the above line have been recorded in magazines and books on Shri Sai Baba. The narration of a few of them however will, it is hoped, be deemed sufficient by the readers for his purpose. Rao Saheb H.V. Sathe's father-in-law Kelkar had purchased for Shri Sathe a piece of land, admeasuring 20 Acres, in Shirdi, When Shri Sathe happened to come to Shirdi thereafter, he proposed to Mr. Kelkar that the latter should accompany him and show him the said land. He also asked his wife to go with him to see that land and she consented to do so without consulting her father, Kelkar however did not approve of the idea of accompanying Shri Sathe for the reason that he had in his house at the time a widow of Sathe's deceased brother and he feared that if she came to know of that purchase, she might demand a portion of the land as her share. Kelkar therefore declined to accompany Shri Sathe' so Sathe asked his wife to go with him but on the advice of her father she also now refused to do so. This irritated Shri Sathe so much that taking a whip from his coachman he was just on the point of starting whipping his wife, when Shri Baba's devotee Megha rushed in, bawling out, "Saheb, Saheb, you are wanted immediately by Shri Baba;' Shri Sathe throwing down the whip at once rushed to Baba; when Baba asked Shri Sathe, "Well, Well, what has happened?" Sathe knew at once Baba had known all that had happened and that he was preparing to whip his wife; so he shamefully hung down his head. Baba then said, "Why do you want to see the land? It is there. Your going there would not change it a bit." On hearing this Shri Sathe calmed down and returned home thanking Baba for saving him from the cruelty he was to perpetrate; the wife also sincerely thanked Baba for saving he from being whipped. Mrs. Nanasaheb Nimonkar also had a some what similar experience. Her son was ill at Belapur and so she wanted to go there to see how he was. Her husband permitted her to do so, but he insisted that she should return the very next day. As that day was considered to be so very auspicious that none would be allowed to leave on that day, she feared that she would not be able to return on that day as per husband's whishes (or order). She was in a fix; she would not disobey her husband, nor could she displease her son. Now, Nanasaheb was always in attendance upon Baba and accompanied Him to Lendi. Just when Baba was proceeding to Lendi with Nanasaheb Mrs. Nanasaheb prostrated herself before Baba and asked for permission to go to his son at Belapur. Baba at once said, "Yes Yes go there at once, stay there for three four days and then return." Thus Mrs. Nanasaheb's fear of displeasing her husband by not being able to return the next day was averted, as Nanasaheb had listened to the instructions Baba gave to his wife in that matter. Bapusaheb Jog lost his mother; there was no such Brahmin at Shirdi as he should have to get the obsequial ceremonies of his mother duly performed; so he requested Baba went on adjourning the day of his departure from day to day till at last only a day was left to the day on which those ceremonies should be started. Bapusaheb informed Baba accordingly and stated that he must that day start for Nasik. Baba cooly replied to him, "We will start this noon",. Bapusaheb was in a fix; he could neither disobey Baba nor evade the performance of ceremony on the day fixed. However, just at 11 A.M. that very day a learned Brahmin versed in lore of the family clan came up. This satisfied Bapusaheb who was now fully convinced that the faith he had reposed in Baba was not in vain. Nanasaheb Chandorkar got into a fix in certain family matters. His father Govindrao Chandorkar had also been like him, a District Deputy Collector and stayed in a house built by him at Kalyan. Lately some unpleasantness had grown up between him and the local Musalmans and so he had ordered all the local Musalmans and so he had ordered all the members of his family to desist from having any connection whatsoever with Musalmans in general. When Nanasaheb happened to return home he was informed of what had happened and his father's standing order about having no Musalman connection. Nana was now puzzled. He was prepared to give up all connection with Musalmans but he was not prepared to dissociate himself from Baba. 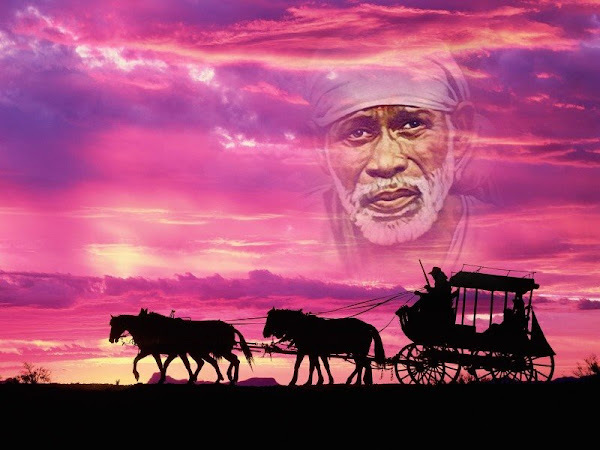 If his father took Baba to be a Musalman, naturally he would expect Nana to give up Sai Baba; this embarrassed Nana; so he spoke to his father about his connection with Sai Baba. In the meanwhile Baba had already given proper turn to his father's mind in the matter; so he at once said to Nana, "My Guru ($Religious Teacher) is Sakharam Maharaj, but your Guru is not Sakharam Maharaj so even if Sai Baba may really be a Mohammedan, He is your guru, and you may most willingly continue going to Him without the least objection from me. On hearing this Nanasaheb was overjoyed and heartily thanked Baba for the happy solution of the puzzle he had to face.